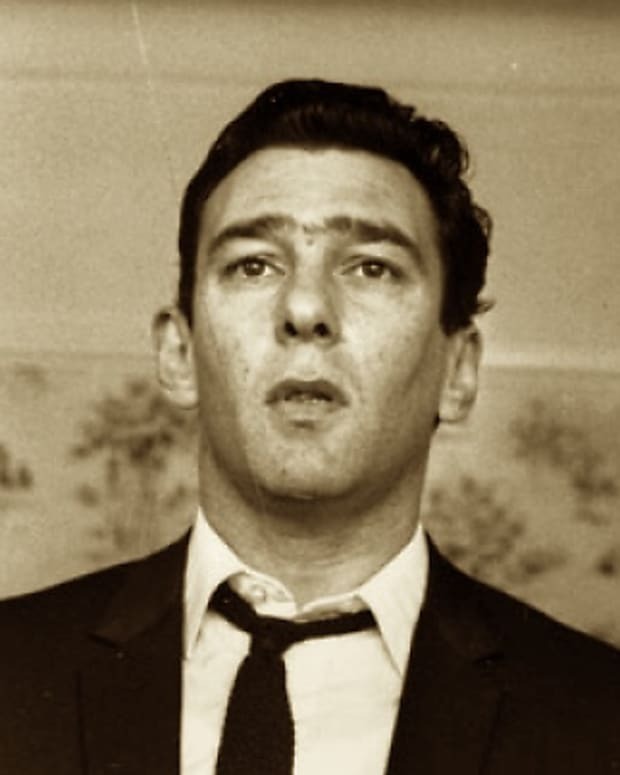 As a youth, Ronnie Kray showed some talent as a boxer. 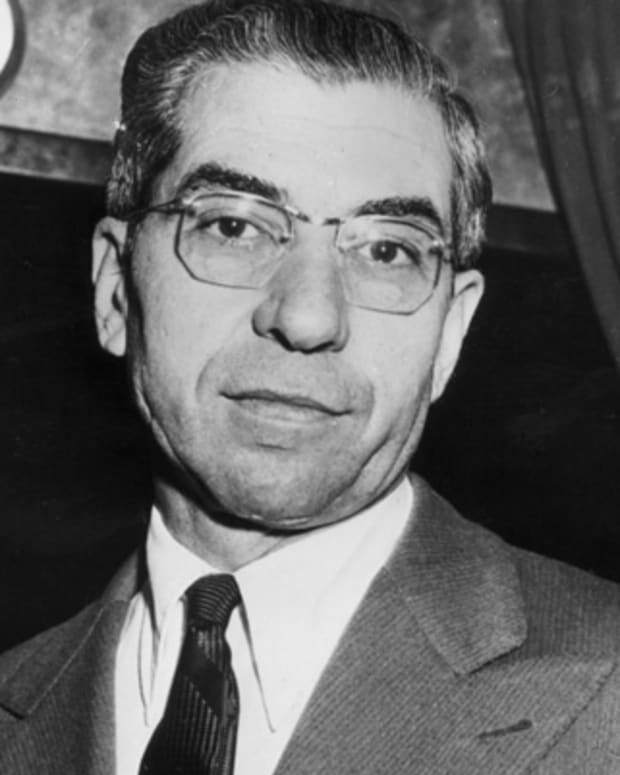 He eventually graduated to crime with his twin brother Reggie Kray. 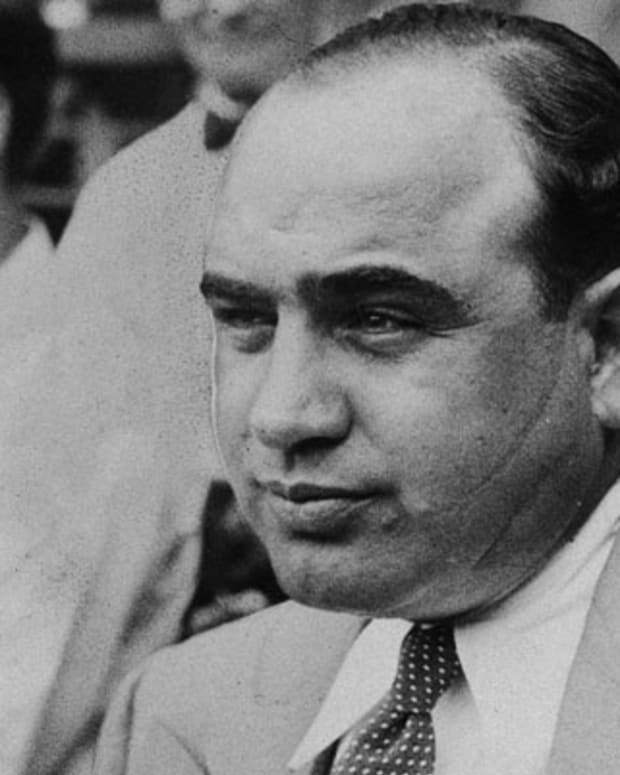 The pair became legendary crime bosses in London during the 1960s. Ronnie was only stopped by his 1968 arrest for murder. 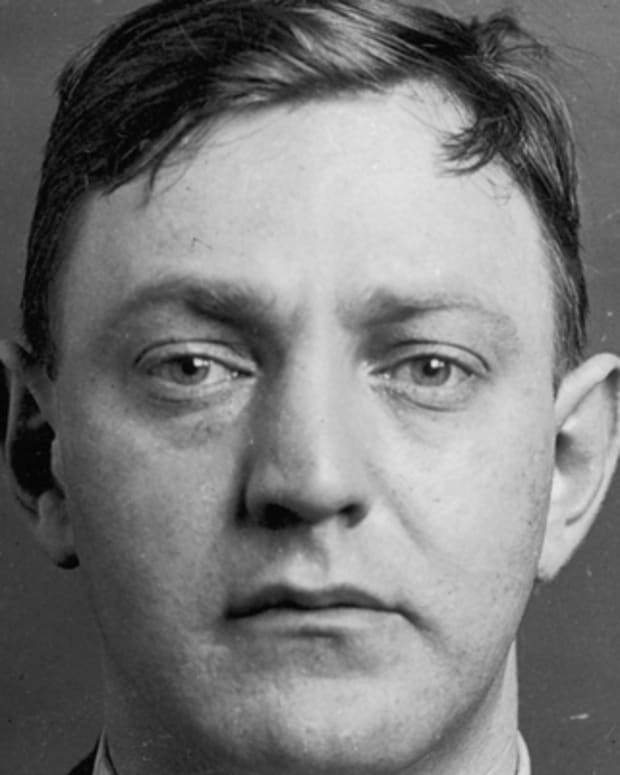 The following year, he was convicted and spent the rest of his life in prison. Ronnie died in 1995. Ronnie (1933 - 1995). They Kray Twins were found guilty of murder in 1969 after a trial at the Old Bailey. Ronnie was married to Elaine Mildener from 1985 to 1989. The same year of his divorce, he married Kate Howard. Their marriage ended in 1994. Ronnie died of a heart attack in 1995 while still a prisoner at Broadmoor. Onlookers crowded the streets to catch a glimpse of the famed gangster&apos;s coffin as it was taken through the East End. His brother Reggie was allowed to leave prison to say goodbye to his twin. Reggie died five years later. While both Kray twins are now gone, their lives and crimes remain the subject of endless fascination. Books, documentaries and feature films have explored these two notorious figures. Most recently, actor Tom Hardy portrayed both brothers in the 2015 movie Legend. 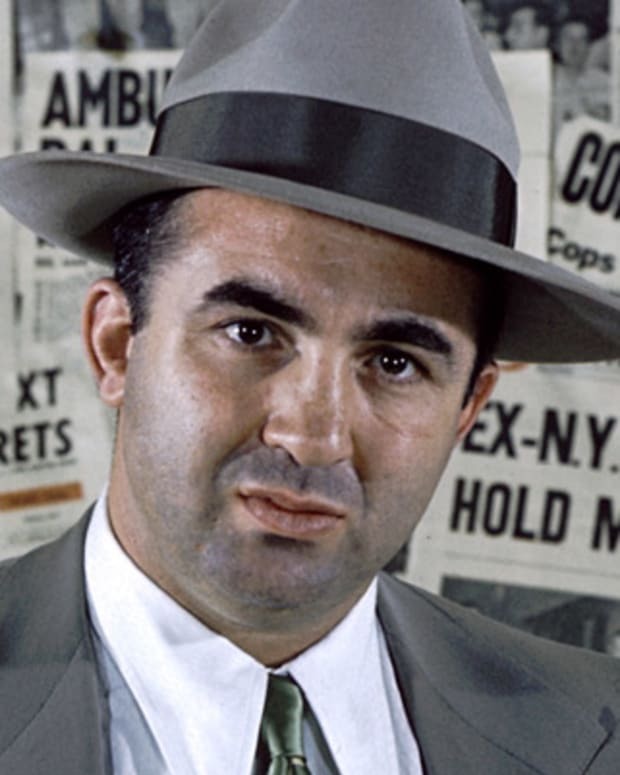 As the 1950s progressed, Ronnie had taken up a broad range of criminal activities, ranging from extortion to arson. He and his brother had their own gang known as "The Firm." His hands-on approach to taking care of business landed him some time behind bars — he was convicted of grievous bodily harm in the late 1950s. 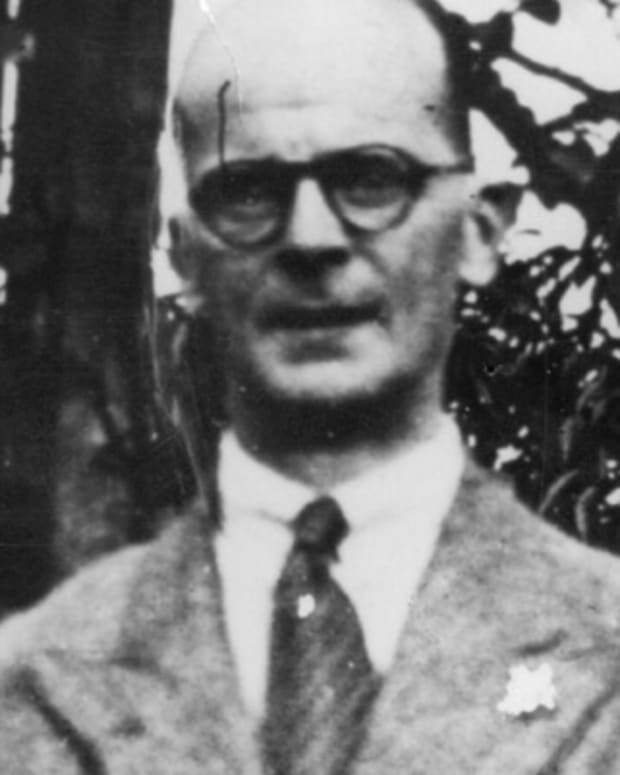 While in prison, he was labelled insane (and later diagnosed with paranoid schizophrenia). Ronnie and Reggie had another brush with the law in 1965. Both brothers were arrested in connection with their efforts to shake down a Soho club owner, but they were later acquitted in this case. 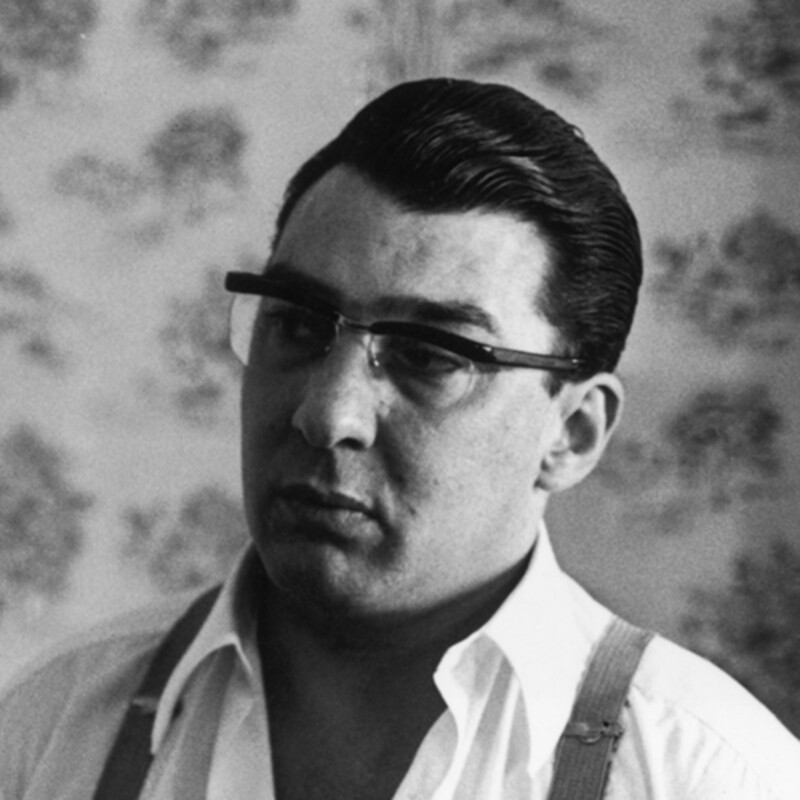 In the East End, Ronnie and Reggie Kray were known for being generous to their community. The pair were also famous for their sharply tailored suits and celebrity connections. One of their clubs, Esmeralda&apos;s Barn, attracted a glittering clientele that included actors George Raft and Joan Collins. Ronnie also made an influential friend in Lord Robert Boothby, a British Conservative politician with whom he may have had a sexual relationship. 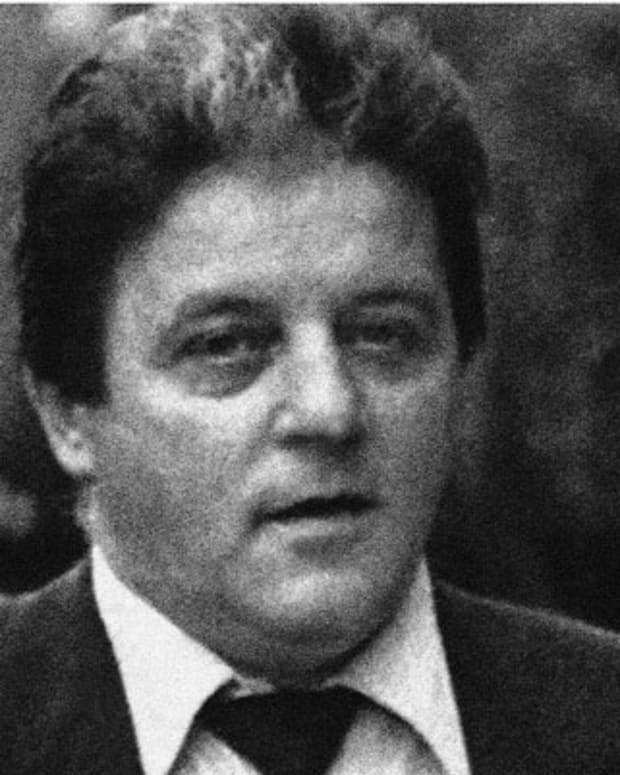 Ronnie&apos;s temper contributed to his final clash with the law. With no regard for the consequences, he walked into a pub called the Blind Beggar and shot his adversary George Cornell in the head in 1966. 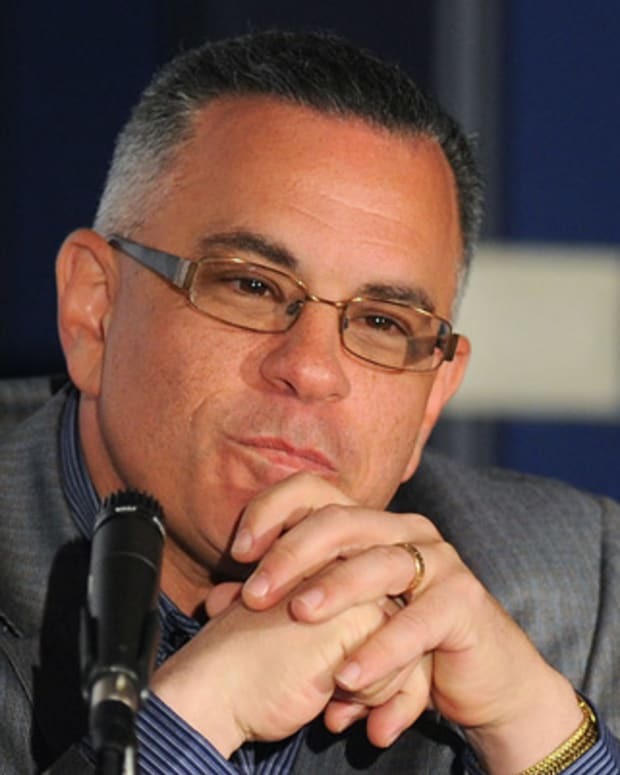 Ronnie reportedly was enraged over a gay slur that Cornell had said about him. 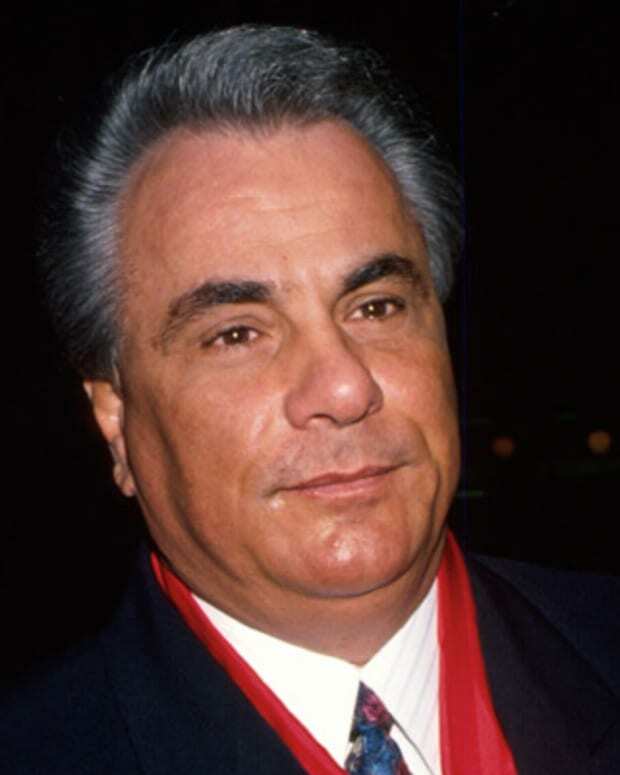 The following year, Ronnie reportedly egged on his brother Reggie to kill a wayward member of their own gang, Jack "the Hat" McVitie. The East End&apos;s code of silence on the Krays&apos; activities eventually cracked, and the pair were arrested in 1968 for these murders. Scotland Yard&apos;s Inspector Leonard "Nipper" Read spent years working to bring the Kray twins to justice. When they were convicted in 1969, the judge told them: "In my view, society has earned a rest from your activities," according to the Telegraph newspaper. Because of his mental illness, Ronnie was sent to Broadmoor, a hospital for the criminally insane. He later shared the details of his life in his shared memoir with Reggie called Our Story (1988) and in his own autobiography My Story (1994). Ronnie considered himself to be bisexual and married twice while behind bars. 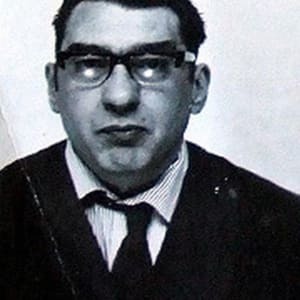 Born on October 24, 1933, in East London, Ronnie Kray founded the infamous criminal gang known as "The Firm" with his identical twin brother Reggie. The twins, along with their older brother Charles, grew up in London&apos;s East End. Their father, Charles Sr., was a second-hand clothes dealer. He was in and out of the boys&apos; lives while they were growing up because he went on the run to avoid military service. But the boys were especially devoted to their mother Violet. Their maternal grandfather, Jimmy "Cannonball" Lee, was a fighter. Following in his footsteps, Ronnie and Reggie became boxers. Ronnie had some success in the sport, but his brother was considered the real contender. Outside of the ring, Ronnie was later known for his temper and willingness to fight anyone that slighted him. In 1951 the Kray brothers began their national service, but the pair was truly too unruly for the military. They each earned a dishonorable discharge in 1954.